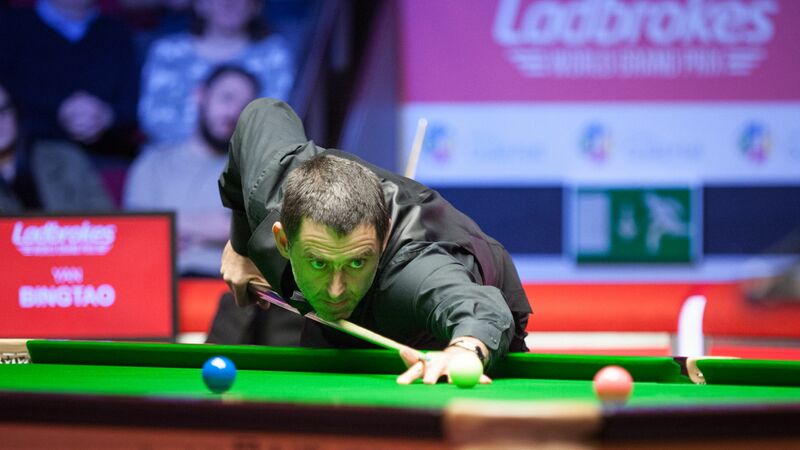 O’Sullivan, chasing his fourth ranking title of the season, had to come from 3-2 down at the Guild Hall to beat talented 18-year-old Yan. The Rocket will now meet Xiao Guodong on Thursday evening (tickets still available – click here for details). Michael Georgiou’s winning streak of eight consecutive matches ended as he went down 4-3 against Stephen Maguire. Coral Shoot Out champion Georgiou came from 3-0 down to 3-3 with top breaks of 57 and 68, only for Maguire to win the decider 70-17. Glasgow’s Maguire now meets Shaun Murphy, who came from 2-1 down to beat Jack Lisowski 4-2 with top breaks of 67 and 73. China’s Xiao edged out John Higgins 4-3 in a match with never more than one frame between them. Xiao took the decider with a break of 55.